Imani Boyette scores 15, No. 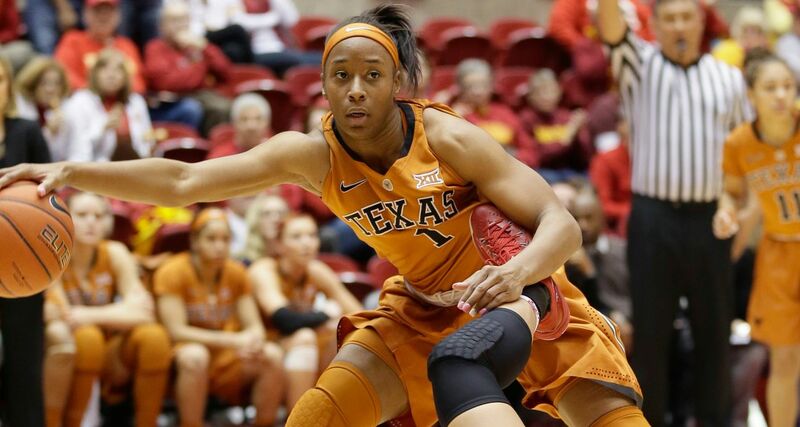 4 Texas beats Kansas 75-38 - Women's College Basketball - Are You Watching This?! LAWRENCE, Kan. (AP) Imani Boyette only needed 21 minutes on the court to prove a major factor in No. 4 Texas' 75-38 romp over Kansas on Wednesday night. Boyette had 15 points, eight rebounds and three blocks to help the Longhorns pull away in the second half. Boyette was an asset on both ends of the court. Empress Davenport added 11 points and 10 rebounds, Celina Rodrigo had seven assists and Brianna Taylor had five steals for Texas (16-0, 5-0 Big 12). The Longhorns have started Big 12 play with five straight wins for the first time since 2002-03 and beat Kansas for the sixth straight time. This was the Jayhawks' worst loss of the season. Before this blowout, Kansas' biggest final deficit was a 23-point defeat to Oklahoma in the conference opener. Lauren Aldridge scored 12 points to lead Kansas (5-11, 0-5) and Kylee Kopatich had 10 points. The Longhorns jumped to a 17-0 lead before Kansas hit a 3-pointer. Texas owned a 21-point lead at the end of the first quarter and led by 19 at halftime. Texas came out rolling after halftime and cruised out to a 33-point lead with help from Boyette and Rodrigo. Kansas couldn't gain any ground in the final frame. Kansas: The Jayhawks have lost all of their conference games by at least 16 points. Texas: Texas leads the all-time series with Kansas 20-10. ... The Longhorns won the rebounding battle for the 15th time in 16 games, 46-26. Texas entered averaging 44.3 rebounds per game and was ranked eighth nationally. Kansas: The Jayhawks travel to West Virginia on Saturday. Texas: The Longhorns host Baylor on Sunday.